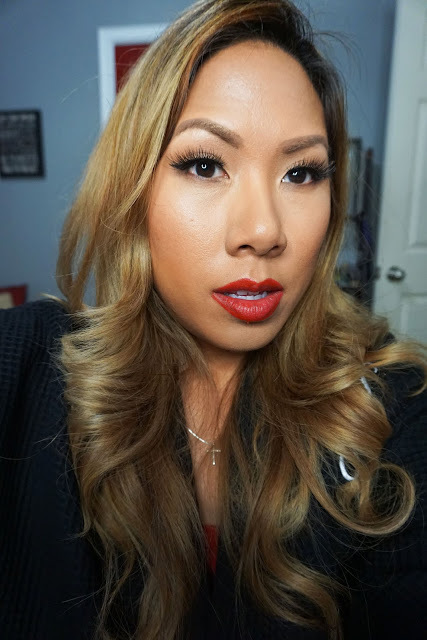 I wanted to share my simple Christmas makeup look - it's all about the red lip. I wore this for our family get together and mixed up my hair and rocked a side part for the first time in forever. Check out the details below! I used a hot tools large barrel curling iron to get this look. I'm loving my new shorter layers that frame my face because the curls get a lot more lift and volume. And I think the side part may be making a comeback in 2018! For my makeup it's all about lip and lashes. 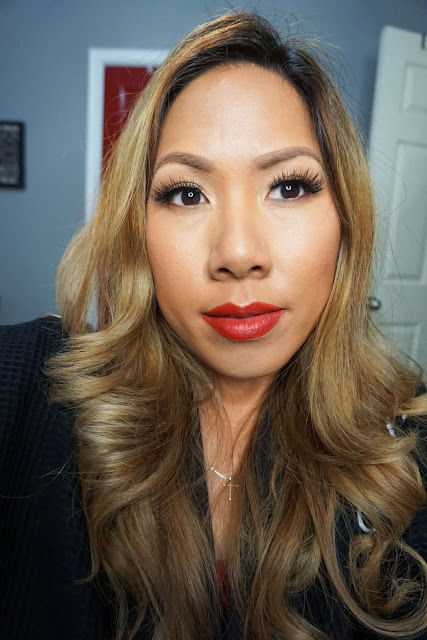 I'm rocking Lady Moss Beauty Koko lashes in the style Marilyn. On the lips, my favorite red - Make Up For Ever Artist Rouge lipstick in M405. I'm definitely going to be rocking more red lippies in 2018, what are some of your favs?